Before departing on many of his flights for his TV appearances or speaking events his team will notify Angel Flight to see if there is a need to transport someone in need on his route. Gary Coxe has been a member volunteer pilot for Angel Flight for over 20 years. Angel Flight is a volunteer pilot organization of more than 700 volunteer pilots who utilize their own aircraft, fuel and time to provide free air transportation to medical facilities for citizens who are financially distressed or otherwise unable to travel on public transportation. Angel Flight also coordinates missions to fly organ transplant candidates, patients needing life-saving medical appointments, people involved in clinical trials, chemotherapy or other repetitive treatment, victims of abuse seeking relocation, families receiving help from Ronald McDonald Houses, Shriners Hospitals and many other charities, disabled or sick children to special summer camp programs, and for many other humanitarian reasons. He is a firm believer in paying it forward and giving back. 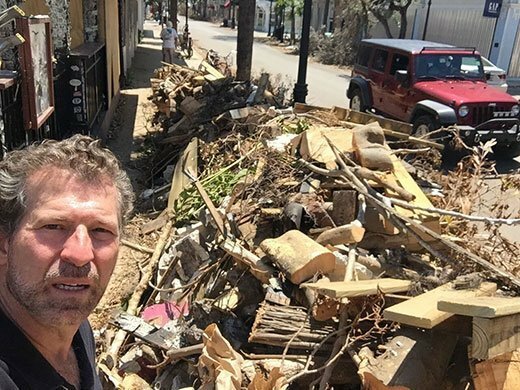 ‘One isn’t truly living a life of purpose and fulfillment unless their helping others, especially in time of need’, says Gary. 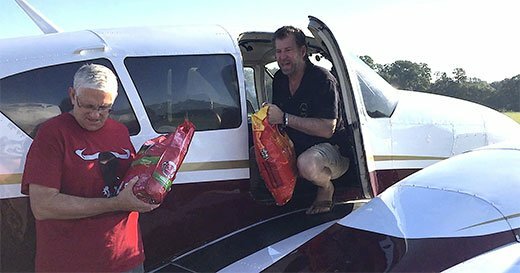 Gary volunteers his time not only to fly mission trips with patients but also relief flights after national disasters.You can often find Gary live on social media from the cockpit on these flights. 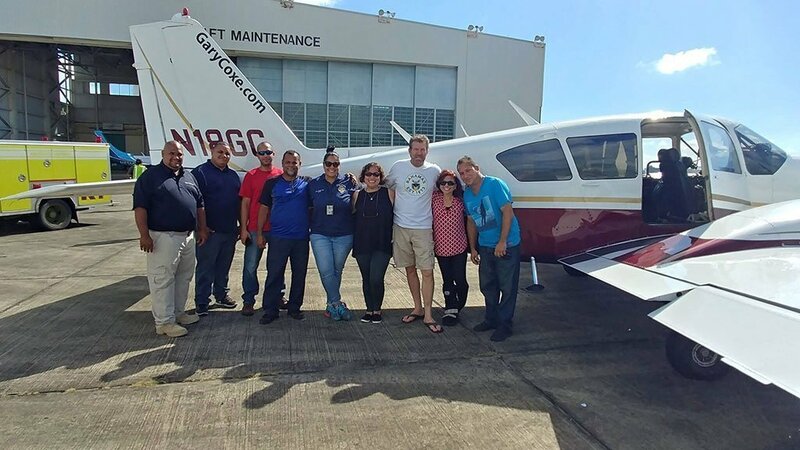 Gary has flown several mission trips after hurricanes to assist in flying relief items for both residents of Key West after hurricane Irma and Puerto Rico after Maria. We’re in tears. 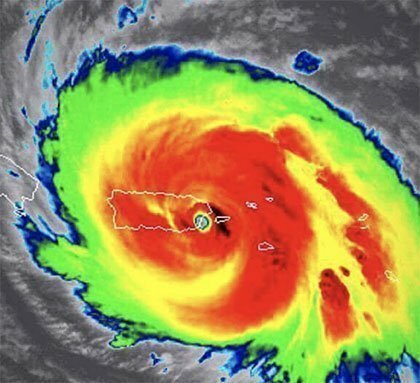 Live from Puerto Rico. 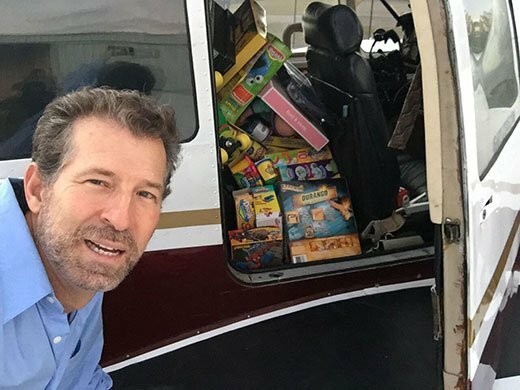 Over a 1,000 toys flown to kids. So amazing! MUST WATCH! It will make your spirit say, 'Ah!' 🙂 Feel free to comment and share.